I was excited to see an email in my inbox letting me know that the Mecca Beauty Loop Box was available. I love this time of year, especially as the Beauty Loop boxes are relatively new to me. I also love using this as an excuse to pop in-store and buy myself something nice. I am actually a level two, which is awesome. I hope to get to level three soon but we shall see. I ended up getting the box on the first day it was available, so I was excited to pop into store and grab it. This box included two sachet samples and two deluxe sample sized products. I was so delighted to see some fabulous brands included. The first amazing sample product was the NARS Velvet Lip Glide in Le Palace. This is such a fabulous red shade. I have never tried any NARS lip products before so I'm pretty excited. There was also a Smashbox Photo Finish Primer; another deluxe sample. I'm so keen to try this one out as it's such a cult product. For sachet samples, we got the Kate Somerville Wrinkle Warrior 2 in 1 Plumping Moisturizer + Serum. This one sounds fantastic, I really wan't wait to try it out. 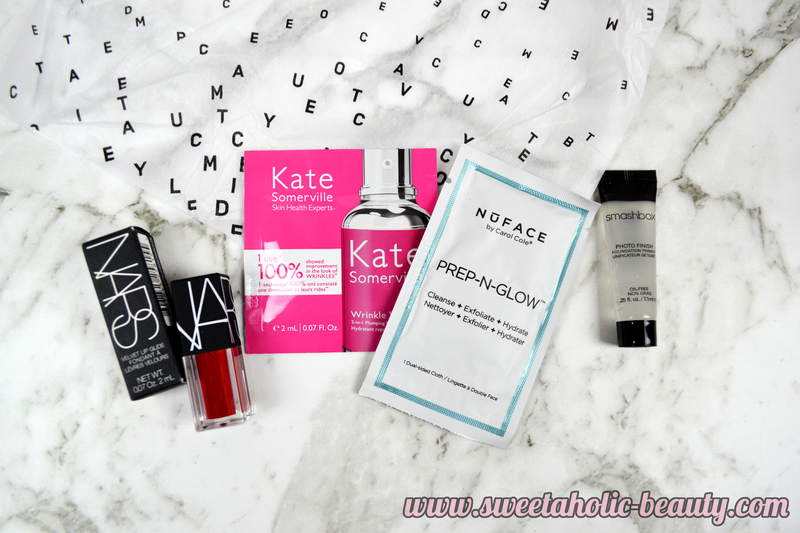 A pretty cool sample was also the NuFace Prep-N-Glow. I had no idea what this was, but it's actually like a makeup removing wipe, but has an exfoliating side to it. I'll be interested to see how this goes. I was pretty stoked with this box if I'm honest. I'm keen to try everything included in this box and I love the brands we got. This one really stands out as a great box to me. 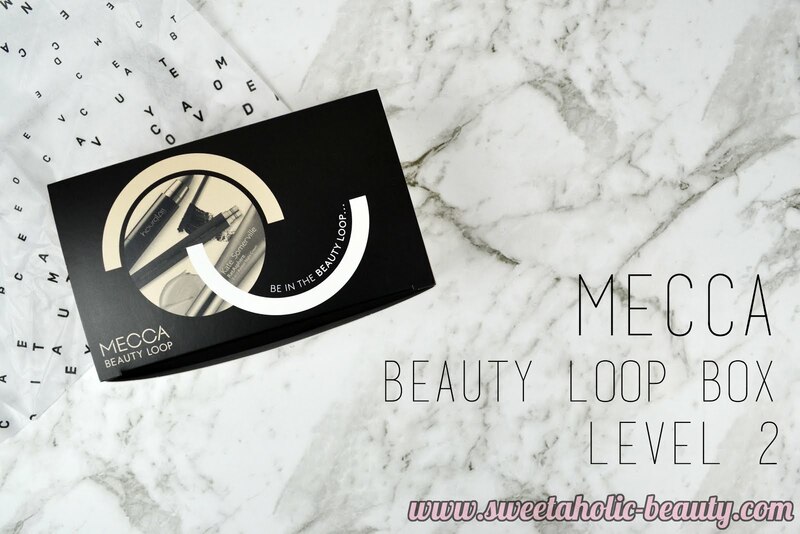 Have you received your Mecca Beauty Loop Box yet? If so, what are your thoughts? Lovely collection of things in this box! I've heard heaps of good things about the Smashbox primer! I need to try that out myself! Man, I love MECCA! So glad we have one in Newcastle now! OMG THAT MINI NARS IS SO FREAKING CUTE! I've never gotten one of these before! Jealous!!! 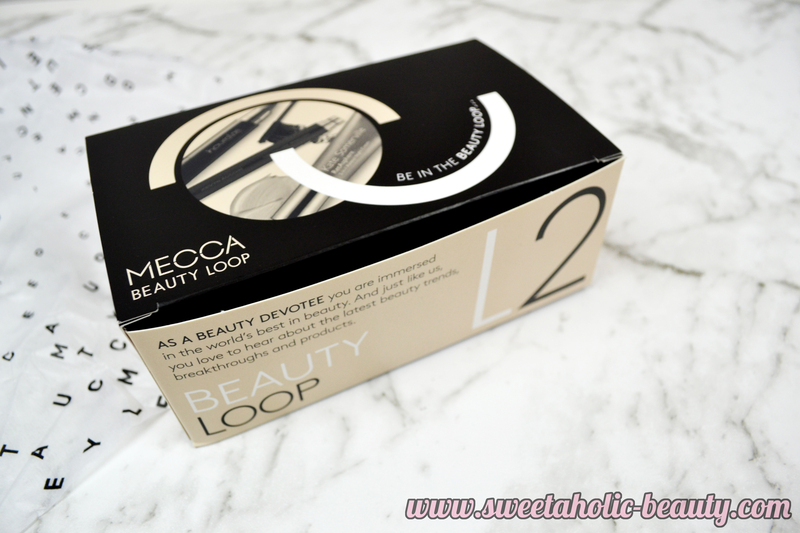 I've never tried the beauty loop before - but Kate Somerville has been on my to-try list for a while now!